Well, I’ve enjoyed watching Stephen Harper and Jack Layton play chicken over this election business. I don’t think anything’s going to come from it, but it’s fun to watch them blame each other and come up with different reasons exactly why not. I think Jack Layton’s done a great job of using his party’s unique position to put a lot of influence on the way things were being done there for a while, and I hated it every time Harper criticised him for doing it. The whole time I’d be thinking that it was just Harper whining that he wasn’t going to get his way. Sure if I supported him in any way I might be happy for him doing it, but that’s certaintly not the case. I’d much rather see him shut up about it and lose all their seats to the NDP in the next election. Regardless, all this energy would be much better spent addressing a very important problem. 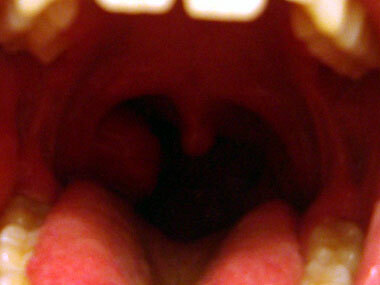 Specifically, why do I only have one tonsil!? ummm possible answer.. you’re abnormal! another one is.. god hates you! You’re not worth it to waste another tonsil on, those tonsils are precious! but then again.. i don’t have any… they had to wrip them out.. well maybe not “wrip”, although i was asleep so I don’t know what they did.